Researching for a county council involved looking at other local government websites to see if there was a structure to the visual design, if they used a visual language. Unlike Gov.uk which is very uniform and accessible, local authority sites vary a lot. Watching people try to use a “difficult” site, reminds me of ordering from an unfamiliar menu written in a different language. Without delving too far into semiotics and semantics, sites can frustrate because they fail to communicate in a recognisable way. People are often busy, impatient, easily distracted, first-timers, restricted to pointing and swiping on their phones, so is it fair or reasonable to expect them to learn a new language? Arguably the triumph of Apple was making the Iphone accessible to so many, people straight out the box; a computer many times more powerful than those used to launch the Apollo moon shots. Achieving that level of usability takes skill, dedication, and user centred design. Whilst working for a scientific publisher we introduced a visual language for digital that was quite different to the conventions and workflows used for analogue (print and telephone). e.g. the complete IA, navigational patterns, typography and how content should respond across viewport sizes. We didn’t know how a published article should be presented in full, summarised in front of the pay-wall, precised in a “rolled-up” section, or referenced in a news email on a phone. “One spoonful at a time”. But the power of a visual language goes beyond this to define and “articulate” typical journeys analogous to phrases. Five years after Nature Plants was launched, the visual language is still evolving and being deployed. The former because that’s just what living languages do, the latter because it exists in a complex environment with legacy systems. By now there’s a well trodden path for migrating journals. If visual design and content are, structured, straightforward, consistent and conventional, users can focus on their task. Simple heuristics, such as the logo positioned in the top left hand corner and linking to the homepage, are a starting point, perhaps similar to the first words learnt from a tourist phrase book. But visual languages can be rich and complex e.g. in medieval religious paintings where symbols and conventions communicated complex narratives and abstract concepts to illiterate audiences. The challenge is for the language to be so straightforward and familiar it’s intuitive – in Steve Krug’s famous words, “Don’t make me think“. It might seem a luxury to take time out to create an abstracted guide, but from experience it quickly repays the investment. One is evident in East Sussex county council’s site. 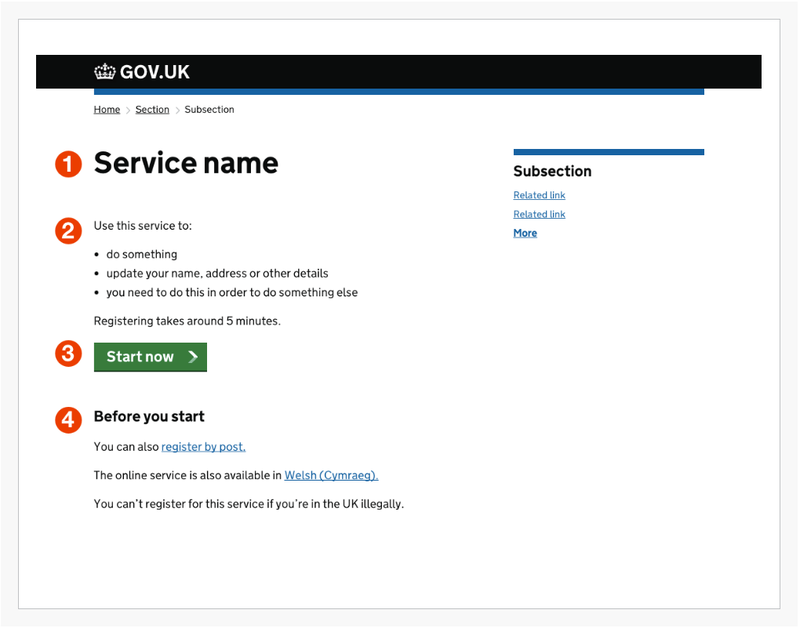 (go beyond the landing page) and is perhaps why GDS have a pattern library and appear to be getting more involved with local authorities.